"If the Olympic Games that Modern Greece has not yet been able to revive still survive today, it is due, not to a Greek, but to Dr. W.P. Brookes." Baron de Coubertain. 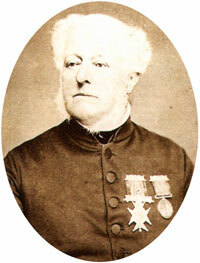 In 1850 Dr William Penny Brookes (1809 - 1895) founded the Wenlock Olympians Class. Dr Brookes aimed to promote physical and intellectual improvement among the ordinary citizens of the locality. The first games he held were a mixture of old Greek style athletics and local sports such as football and cricket. By 1851 competitors from all over the West Midlands were attending and by the end of the decade the event was a fixture on the local calendar. In 1859 Brookes heard of games being held in Greece, funded by a wealthy man named Evangelis Zappas. Brookes sent a sum of £10 which the Greek committee decided to award to the winner of the 'long race' under the name Wenlock Prize. This wasn't to be the last time Brookes would make contact with foreign philanthropists who shared some of his ideas. Brookes himself petitioned the Greek authorities to revive an international games but internal strife within the country led to the government of the day politely declining his overtures. 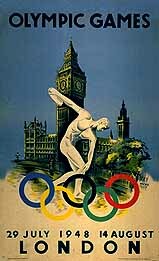 Dr. Brookes, this enthusiastic Philhellene is endeavouring to organise an International Olympian Festival, to be held in Athens. In 1889 a wealthy young Frenchman named Baron de Coubertain visited England on a fact finding mission aimed at instigating physical education in French schools. Brookes invited Coubertain to his annual games in Much Wenlock Shropshire and even closed the entire town to concentrate on impressing his guest. The Baron stayed in Brookes' own home and despite the 54 year age difference (Brookes was by then 81), the two men built up a great rapport, Brookes sharing the dream of an international Olympian movement with de Coubertain. In 1894 the first Congress of the Modern Olympics was held in France and Brookes was invited to attend. Unfortunately he was unable to go due to ill health. In 1896 however the Shropshire doctor's dream was realised. 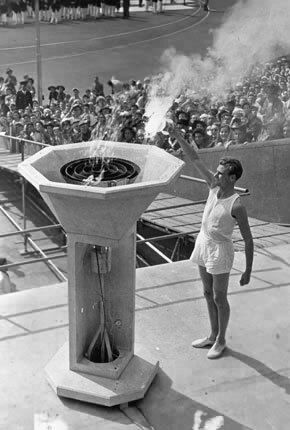 The first revived Olympics were held in Athens during the month of April. Tragically, Brookes had died just 4 months earlier.